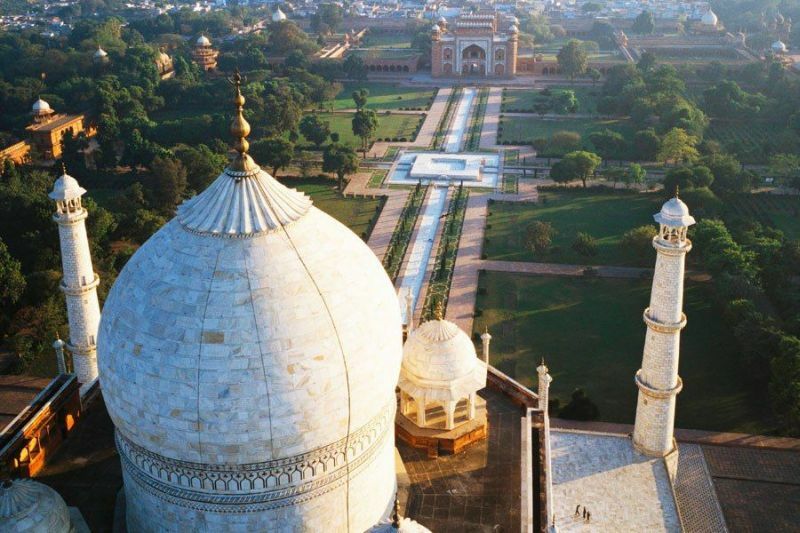 In one of our earlier monumental picks, we talked at length about Taj Mahal and its Charbagh gardens. And now, adding to the sense of wonderment is the application of astronomy – as is evident from Amelia Carolina Sparavigna’s (a physics professor at the Politecnico di Torino) analysis of the actual site by using a Google Earth’s satellite imagery dependent app known as Sun Calc. 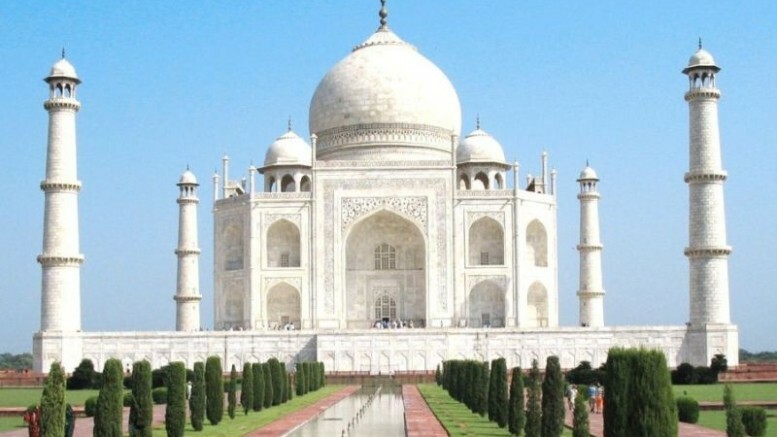 She has published her findings about Taj Mahal and other Mughal architectural works in the online journal Philica. Charbagh (or paradise garden) is a quadrilateral garden design interspersed by walkways and waterworks (a concept originally brought from Persia). Consequently, the majestic gateway to the incredibly expansive compound of the Taj Mahal, known as the Darwaza-i Rauza, alludes to the splendid entrance of the Islamic Paradise – otherwise known as the Gardens of Eden. This grandiose scope is obviously symbolic in nature. But as Sparavigna has found out, the ambit goes beyond just symbolism, to account for actual alignment with the sun path on the solstice days. Credit: Image copyright Digital Globe, courtesy Amelia Carolina Sparavigna. 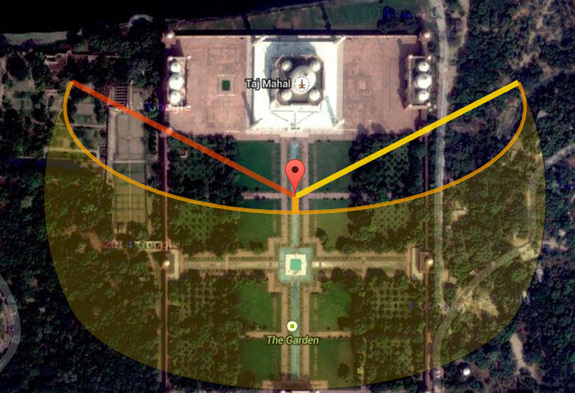 To that end, if one positions himself in the north-central position of the Charbagh within the water-body intersected by the paths, and then look towards the north-east side pavilion on June 21st (summer solstice – when sun is at its highest point), he could see the sun rise directly over that particular section. And now, if the viewer remains in his position, the sun will move from behind him, and ultimately set behind the section of the north-west pavilion. In essence, the sun’s path will define the entire purview of the Taj Mahal starting from one of the pavilions, then the minarets, the mausoleum and finally the other pavilion. However, in their planning, architects could also use some elements aligned in the directions of sunrise or sunset. In fact, architects have six main directions: two are joining cardinal points (north-south, east-west) and four are those given by sunrise and sunset on summer and winter solstices.